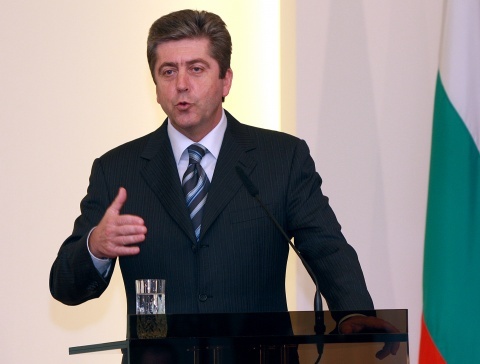 Bulgarian President Georgi Parvanov has suggested that the former Cabinet of PM Sergey Stanishev yielded to Russian pressure on determining escalation costs for the construction of the Belene NPP back in 2008. The agreement signed between Bulgaria and Russia in January 2008 provided for a price of EUR 3.997 B for the construction of two reactors 1000 MW by Russian state company Atomstroyexport plus additional escalation costs based on inflation and other factors. According to current Bulgarian Prime Minister Boyko Borisov, the major problem in the talks with the Russians for the start of the construction of the NPP is the fact that the contractor could demand a much higher price based on the escalation cost clauses. Speaking in Astana, Kazakhstan, after an OSCE forum, President Parvanov declared that back in 2008 he insisted that the escalation costs for Belene should be calculated based on an EU index, while the former Bulgarian government of his fellow Socialist Sergey Stanishev agreed to calculate them according to a Bulgarian inflation index. Parvanov further said he "posed the question" about the escalation costs of the Belene projects as early as his February 2009 visit in Moscow. The President also said there should be no "internal debate" in Bulgaria about the price of Belene because this would disunited "the Bulgarian camp" and will benefit the Russians, allowing them to demand more money. The President's position nonetheless differs from that of the current center-right GERB party government since PM Borisov has made it clear he did not want to exchange one escalation cost index with another but, rather, to have the Russians agree on a final fixed price for the construction of the entire plant. Thus, earlier this week Bulgaria's National Electric Company NEK and Russian state company Rosatom signed a memorandum providing for a final fixed price for the two reactors of EUR 6.298 B. This sum is still not final since the document is not binding; a final binding agreement for the establishing of a joint company for Belene is expected to emerge in 4-5 months, according to Rosatom head Sergey Kirienko. The other non-binding documents on Belene signed this week provided for participation in the project of Finnish company Fortum with a share of 1%, and of French company Altran Technologies with a share of 1%-25%. NEK is to keep a majority share of 51%, while Rosatom is also expected to have a share of 25%. Serbia has expressed interest in acquiring a share of 5%-10% but the talks for that have not been finalized yet. Subsequently, in the last months of the Stanishev government in early 2009, Putin offered Bulgaria a Russian state loan of EUR 4 B, which ex PM Stanishev refused. In late 2009, after the Borisov government took over, Rosatom offered Bulgaria a loan of EUR 2 B so that the construction can continue, in exchange for a stake in the future plant that the Bulgarian government could then buy out by returning the money. The offer was refused by the Borisov Cabinet which also made it clear it would construct the Belene plant only if an European (apparently meaning EU or Western European) strategic investor can be found. Under Bulgaria's preliminary contract with Atomstroyexport signed in 2008, the construction of the Belene plant with two 1000-MW VVER nuclear reactors is supposed to cost EUR 3.997 B. As the contract expired on September 30, 2010, Bulgaria and Russia decided to extend it by 6 months until they reach a final agreement on how much the construction of the Belene NPP will cost. In mid November, the Bulgarian Energy Holding, NEK's parent company, picked HSBC, one of UK's biggest banks, for a consultant to help it decide how to proceed and attract new investors for the planned Belene nuclear power plant.